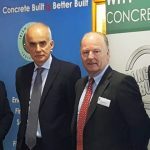 We’ve blogged about Eco Friendly construction components on this site before, Killeshal produce a number of components that aid eco house building. For example, we produce sills designed specifically to prevent thermal bridging across the wall cavity. Thermal bridging is the loss of heat across the wall cavity through any item that bridges this gap. Any component of that bridges the wall cavity, such as window sills or wall ties could potentially be a point where your hard earned cash leaks out of the building in the form of heat loss. This makes the prevention of thermal bridging one of the focus points of eco house building. 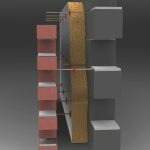 Wall ties, those small components that connect the inner and outer leaves of a cavity wall, may not look like a major player in the battle for the prevention of heat loss through thermal bridging, but they are commonly manufactured in steel. What better material to conduct heat across the wall cavity and out of your house. KPC supply an excellent alternative to the conventional wall ties, manufactured in GFRP (Glass Fibre Reinforced Polymer) using “pulltrusion” technology. These wall ties offer a very low thermal conductivity. You can read more about why they were chosen and how they were used in a project by Killeshal customer, Oliver Cannell here in his Self Build Blog. Killeshal’s Type H and Type D window sills are designed for installation on the outer leaf and with the addition of thermal bridging insulation will therefore prevent thermal bridging through the sill. If you would like to make a difference and incorporate Eco Friendly construction components into your project then Killeshal can definitely help with components like our Eco House window sills and GFRP Wall Ties. Contact our team at Killeshal to see how your Eco Friendly construction project can benefit from materials like GFRP Wall Ties from Killeshal. 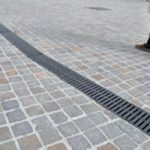 Click here for our GFRP Wall Ties page. Click here for our Window Sills page.